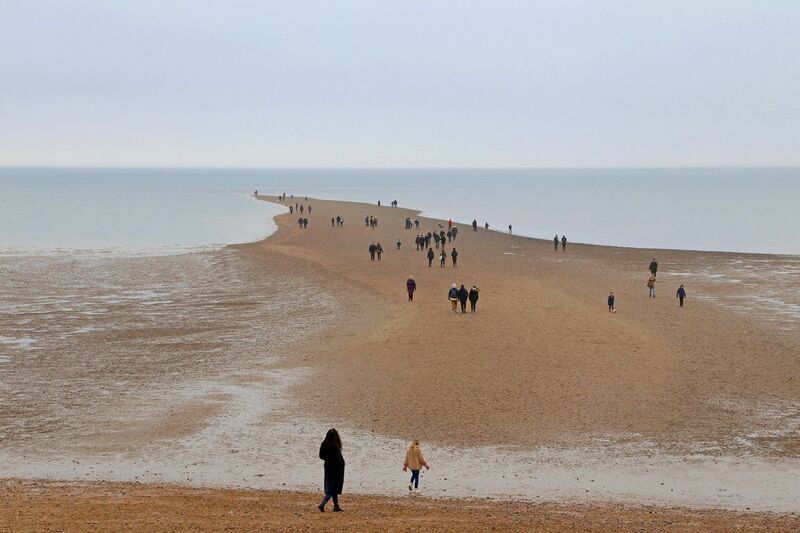 'Beyond the Reach of Rivers' is an exhibition by Mandy Williams that brings two photographic series about the sea to the beachfront in Brighton. 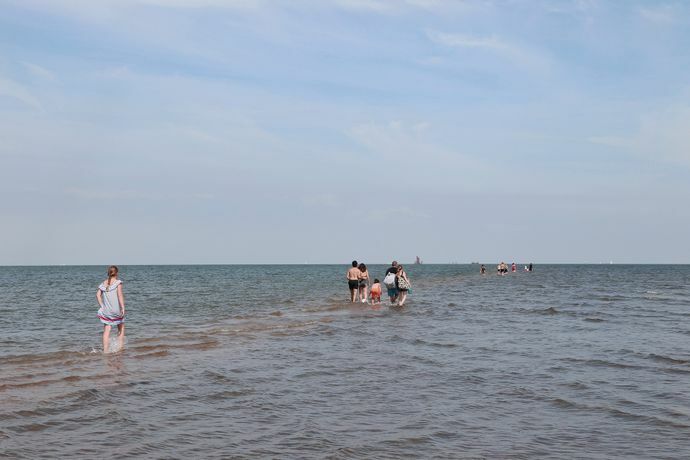 Beyond the Reach of Rivers is a photography exhibition by Mandy Williams that brings together work from two photographic series about the sea to the beachfront in Brighton. Sea Level is shot in the Sussex town w­here she lived as a teenager and focuses on the beach shelters along the promenade. The photographs are taken at high tide, when the shelters are empty. Their windows are weathered and scratched by the wind. 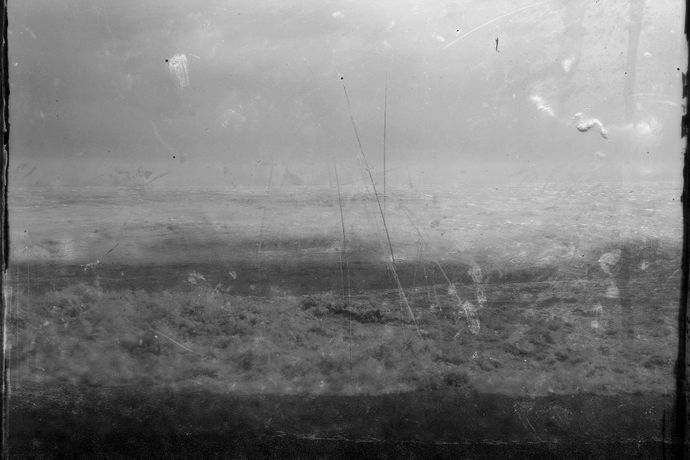 The view of the sea through this prism produces images that are quite abstract - the sea and the markings on the glass have equal importance in the finished photograph. 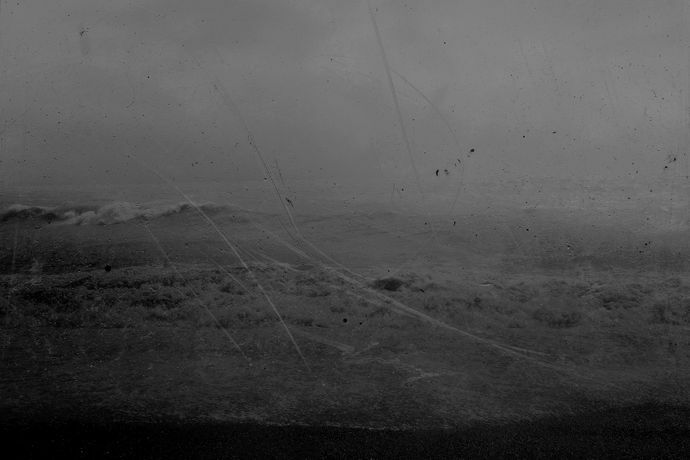 Dust and neglect becomes part of the image, reinforcing the sense of melancholy which runs through many seaside towns. 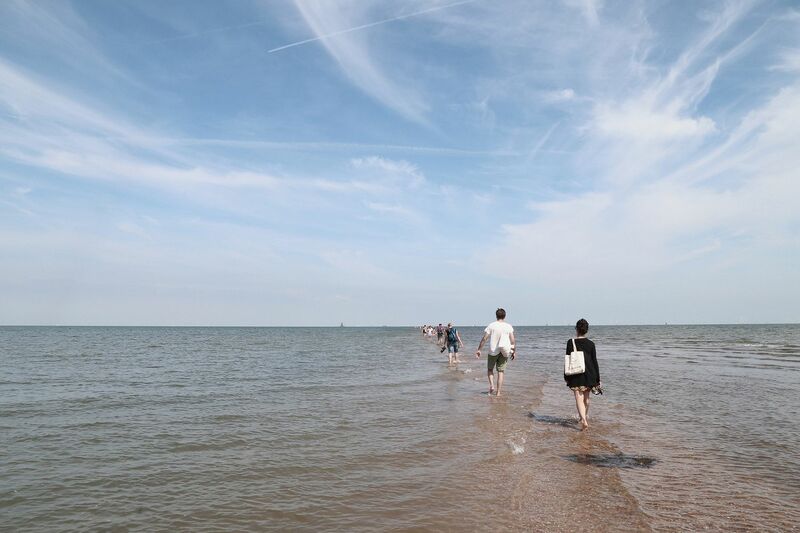 In Beyond Land the photographs take place at the street, a causeway that reveals itself at low tide. 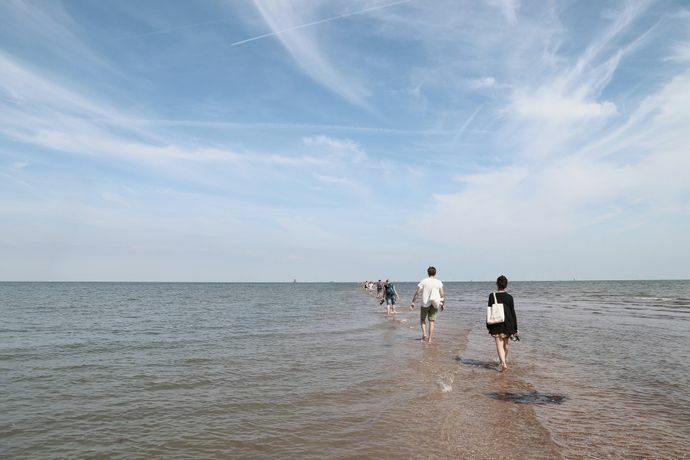 Started a month after the referendum result with its emphasis on Britain as an island nation, geographically and psychologically separate from Europe, the photographs show a collective march to the water’s edge. The line of people following disappearing paths out to sea not only documents our innate connection to water but can also be seen as a metaphor for the times.